Fast, friendly, effective chiropractic care. Our mission is simple; remove nerve interference so the body can heal. On site X-ray, physical therapy and massage provider on staff. Free on-site parking and same day appointments available. Our office is located just off the I-5 “Haines St” exit behind Landmark Ford. 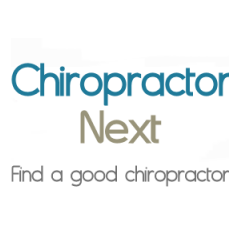 Dr. Fox and Dr. Crokin know you have a lot of Chiropractors to choose from in Portland and the surrounding areas. We understand you are probably looking for a reliable, safe and drug free option for pain relief. It is our personal goal to provide every patient with outstanding customer service and a high level of excellent chiropractic care. If I can help you I'll tell you. If I can't, I'll tell you. Questions? Contact Dr. Crokin directly. Dr. Crokin received his undergraduate degree from Indiana University, Bloomington and started his healthcare career after receiving his Florida massage therapy license. Arriving in Oregon in 1996 to attend Western States Chiropractic College, Dr. Crokin has been in private practice since 1999. During the following years, Dr. Crokin completed the Certified Chiropractic Sports Physician program and is currently involved with the Carrick Institute of Neurologic Research working on the Functional Neurology Diplomate. As a young child I was playing with the older kids in the neighborhood. For whatever reason, I was being held upside-down by my feet and was dropped. After regaining consciousness, I ran home to Mom, she knew something wasn’t right. Later that evening, a severe headache hit, lightning bolts of pain shot down my back and shoulders and I began to feel sick. The next day I stayed home from school, needless to say when the kids got off the bus after school, I did not go out to play. Three days went by and I remained in bed. This is when Mom decided to take action and took me to Dr. Crawford, the local Chiropractor. I remember looking at my x-rays and seeing the obvious imbalance in my spine. This was my first Chiropractic experience which I wholly attribute to my recovery. As an avid high school hockey and soccer player, I suffered my fair share of hard hits, bumps and general sports injuries over the years. It did not take long to realize regular Chiropractic check-ups were the best way for me to maintain strength, stability and endurance.